With the recent advances in legalizing marijuana in certain states marijuana colleges have now become a reality. The main purpose of a marijuana college is to educate its students on how to successfully grow marijuana for medical purposes. • Marijuana Grow certificate: This certificate will give you everything you need to know on growing, from finish to start, as well all the legal information needed for the medicinal marijuana production. 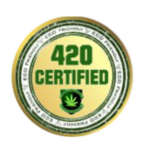 • Business Certification: This certification will give you all the knowledge you need for properly serving the medicinal community. With this certificate, you will be able to identify the proper strain for your patient’s needs. • Compliance Certificate: One of the biggest problems for the marijuana industry is making sure everything is completely legal. With this certificate, you will be able to arm yourself and properly manage dispensaries or delivery services. 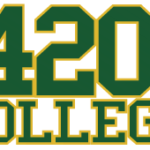 At 420 college we find it inspiring that marijuana college’s now exist. With proper education from such establishments, it will benefit those working within the industry as well the recipients of the product. Everything you want to know about getting legal & compliant for state. The marijuana college will have the custom tailored legal & compliance course, which is designed by the professional attorney to ensure when you are opening the business, it is done in a right way possible! You can start now with marijuana college and learn more about how you may not just open the medical marijuana dispensary in the full compliance with law but as well find how you may have your own medical practice as well as start your marijuana office to get the foot in the marijuana industry! In this marijuana college you will learn to effectively get the new patients the minute you open doors. With many corporate sponsors to Marijuana College you will be able to kick start your own business in a matter of few days. The marijuana college also has paired with medical marijuana industries affiliates to ensure you get the creditable solution for education and well made for your specific requirements. You can call on your preferred marijuana college now and speak with the expert marketers in order to find which college modules is good for you & your needs. So do not wait for more, classes might fill up!